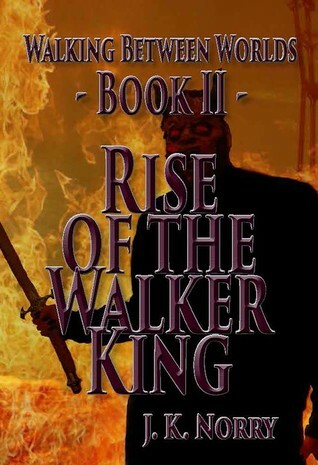 Today marks two weeks until “Walking Between Worlds; Book II: Rise of the Walker King” is released! To whet your appetite, I thought I’d give you a look at the cover. This was designed by Dawn/Dear23, and takes us back up to Twin Peaks, to see Sutro Tower and the city below in flames. I’ll be continuing the chapter reveals this Friday with Chapter Three of “Rise of the Walker King” (you can read the first two chapters here). While you can certainly read this book on it’s own, it’s going to be a much better experience if you read “Walking Between Worlds; Book I: Demons & Angels” first. Don’t have a copy of “Book I: Demons & Angels” yet? You can purchase the ebook during the Sudden Insight Summer Sale for just 99 cents, but time is running out! Available at all of your favorite ebook retailers – get your copy now! Now that we’ve shared the first chapter, part of the tone for book two has been established. The perspective will be more of the Guide’s than the Walker’s as we move on, and a big part of what is going on with Kris is his continuing adjustment to his new life in death. He’s also riding a wave of love that has been a long time coming, and having a chance to swim in its depths rather than watch its beauty from afar. The first chapter brought us back to the sacred intimacy Kris and Jessica had discovered together at the end of the first book.